We have picked out 20 young stars aged 20 or under currently lighting up the Sky Bet EFL. Whether they are on loan from Premier League clubs or have been brought through a lower-league academy, there is an abundance of young talent in the Sky Bet EFL this season. One of several youngsters to breakthrough in Daniel Farke's exciting Norwich side, Aarons is the ultimate modern full-back, providing solidity in defence and a huge threat in attack. He has two goals and three assists in 23 appearances this season, and earned a first call-up to the England under-19s last September. "From the first moment he was with us, he has improved each and every day, his consistency in his performances is outstanding," Farke said of Aarons. "He's just 18 years old, it's outstanding at such a young age with such good performances, I hope we can develop him further." Bayliss made his first appearance for Coventry in 2017 in the Checkatrade Trophy and has since gone on to become a crucial part of their side, helping them win promotion from League Two via the play-offs last season. Bayliss usually operates in a central midfield role, scoring eight times in 62 appearances for the Sky Blues. He also possesses the ability to drive forward and beat players. "He's really good, but we're just keeping his feet on the floor and will try to hold on to him as long as possible because he's important," said Coventry boss Mark Robins. "He's a good, good player." Bogle was plucked from the youth team by Frank Lampard in August, making his debut in the Carabao Cup before establishing himself as a first-team regular. He has made 28 appearances in all competitions and has provided one assist so far, with his impressive composure seeing him draw attention from Premier League clubs. "From the minute I have been here, Jayden Bogle has been fantastic," said Lampard. "I heard he was a talent, and he has shown that he can perform at a top level in the Championship and in our Carabao Cup run at Manchester United and at Chelsea. So, of course, people will look at players who are performing that well." There is always an element of excitement when the child of a Premier League legend starts to find his feet, and that is no different with Campbell, son of former Arsenal and Everton striker Kevin. The 19-year-old scored his first two goals for the club in the FA Cup earlier this month, and it already looks as though he will get more of a look-in under Nathan Jones at Stoke, having been handed his first start in the Championship in the victory over Leeds last weekend. "He's worked tremendously hard, and not just in the last few weeks, but the whole season," said his Stoke strike partner Benik Afobe. "He's kept his head down, took his chance (against Shrewsbury) and put in another great shift against Leeds. He got a bit of cramp later on, which is normal when you haven't played (at this level) all season, but he did fantastically well and we are all pleased for him. Hopefully he can continue and get better." It hasn't been an easy time for Chalobah - the younger brother of Watford midfielder Nathaniel - in his first spell as a senior professional on loan at struggling Ipswich in the Championship. But the teenager has been one of the few shining lights of a difficult campaign at Portman Road, filling a variety of positions in midfield and defence, and scoring twice in the process. He is currently an England under-20 international and trained with Gareth Southgate's senior squad last year. "He has been absolutely unbelievable (as a deep midfielder)," said Paul Lambert, who has used him in a variety of different roles at Ipswich due to his adaptability. "But sometimes I think you restrict him in that role because he's as powerful as anything." It has not taken long for Clarke to garner attention at Leeds. The Elland Road youth product only made his first start for the club in the Championship against Derby earlier this month, but already appears to be a key player for Marcelo Bielsa. The teenager was originally called into the squad after Leeds suffered a string of injuries, but impressed so much with his direct style that he forced his way into the picture permanently. He has already scored twice and made two assists. "When I first saw him, I thought he was a good player, but I didn't think he would have quite the same influence he is showing now," Bielsa admitted last month. Eze has been one of the stars in the Championship so far this season, helping inspire a QPR side tipped for relegation to climb into the top half of the table. The midfielder initially impressed on loan at Wycombe in League Two last season before becoming a key man at Loftus Road. This season so far, he has scored four goals and made four assists in 20 appearances. "He goes past players easier than Raheem Sterling did," former QPR assistant manager Marc Bircham told Sky Sports last year. "Sterling would beat players with pace, or do a trick or a chop - it's all dynamic movements, but Ebere Eze just glides past players." It must be satisfying for West Brom boss Darren Moore to see his work as a youth-team coach at The Hawthorns bear fruit; he now gets to bring through the youngsters he helped nurture for several years. Harper has only made a couple of appearances for the Baggies in the Championship, but he already looks like he has nailed down a first-team spot; he was named Man of the Match during their 2-0 victory over Bolton on Monday night. "I've worked with Rekeem since he was an under-12, so the place for him to fulfil his potential is here at the football club," said Moore. "He's very new to the [midfield] role but he's got wonderful balance, his first touch and control is excellent, he moves the ball away from danger, and he's got the ability to put his foot on the gas and move with the ball." Burton boss Nigel Clough has turned to several of his youth-team players following their relegation from the Championship last season, and Hutchinson is one who has established himself as a regular in the side. Hutchinson is calm in defence, but is also capable of playing anywhere down the left-hand side, showing he can be an influence in attack as well. "Reece has far exceeded the expectation we have had at the beginning of the season," said Clough. "Because we don't have an under-23 team as a stepping stone between the Academy and the first team, it's straight from youth football to the first team. He played a couple of games preseason and impressed us then, and has kept up his progress since." 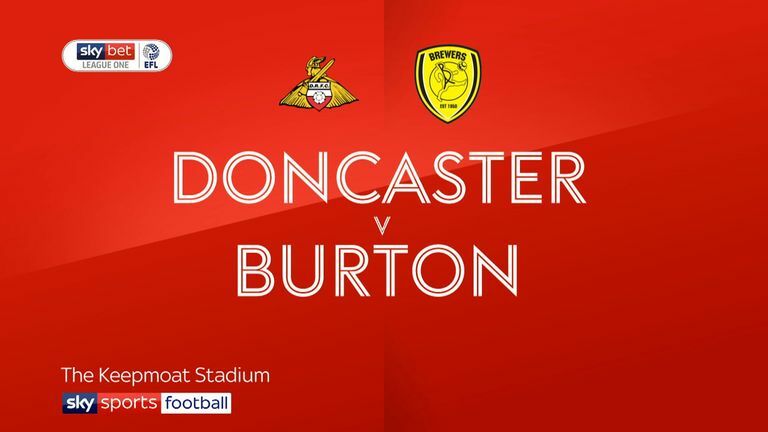 Highlights of the Sky Bet League One match between Doncaster and Burton. One of the many players currently on loan from Chelsea in the EFL, James has been arguably Wigan's best player this season so far, even as they have struggled slightly in the Championship. James is currently an England under-20 international, helped the U19s win the European Championship in 2017, and his first senior goal was an incredible free-kick against Leeds in November, highlighting the confidence he possesses. "Reece is just an outstanding talent," said Wigan boss Paul Cook. "He's probably also the best table tennis player in England... probably the best golfer too... he's that kind of talent! I'm sure he will go on to have an outstanding football career, and we're very lucky to have had him for this period to allow him to grow." It is almost a surprise that Justin is only 20, considering how long it seems he has been around. He made his senior debut in 2016, having progressed through the club's youth system for more than a decade, and has been a regular since the 2016/17 campaign. This season, he has made 25 appearances in League One for Luton as they aim for back-to-back promotions, accruing three goals and four assists in the process, almost entirely from right-back. "He can play at whatever level he wants to, because athletically he can handle the top level, the Premier League," said now-former Luton boss Nathan Jones. "We're very, very pleased to have him, and he's homegrown, which adds a little cherry on top." Considering Steven Gerrard was already a Liverpool and England regular as a teenager, comparisons between the two may be slightly inaccurate. However, Kane certainly possesses an all-action style reminiscent of the legendary midfielder. The 20-year-old has proved a key presence for Grant McCann's play-off chasing side, scoring six times in all competitions so far. "He's been outstanding ever since he joined this football club," McCann said after Kane scored his first senior goals in November. "We had a chat with him about picking the ball up in more dangerous areas; someone of [his] quality, you want in and around the box. Herbie is different class." There may have been some concern at Ashton Gate about how they were going to replace Joe Bryan when he left for Fulham in the summer, but Lee Johnson must have known they had another left-back to roll off the production line in Kelly. Kelly has become a key player for a Bristol City side that has conceded the joint-second fewest goals in the Championship this season (29), as well as kept the third-most clean sheets (10). "He's 6'3, he's got lovely agility," said Johnson. "He's a Rolls Royce of a player when it comes to moving, and he's a great technical player. We know that he's got all the attributes, and I believe that he can go to the very, very top if his attitude stays good. If he continues on that path, he'll definitely have a chance." Kelman is yet to even start a game in the EFL yet for Southend, but the sheer audacity of his first goal for the club makes him worthy of this list. 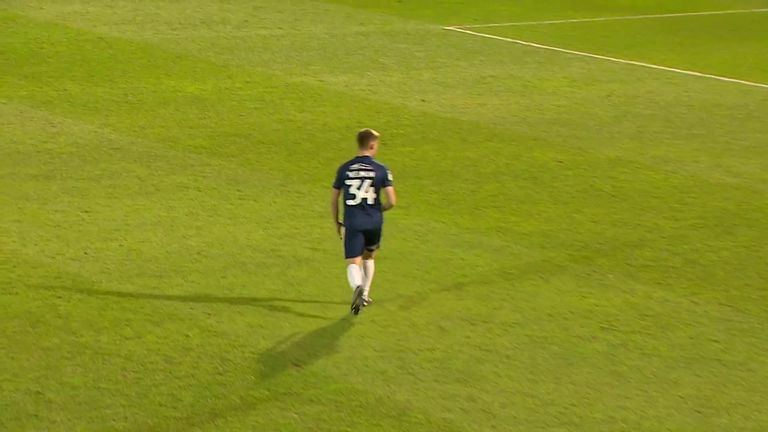 Introduced as a late substitute against Plymouth earlier this month, the 17-year-old found the net from inside his own half at Roots Hall. Though born in England, Kelman is an USA under-18 international. He has an incredible record for Southend at youth level - scoring 61 goals for their under-16 side last season. "He's been a real find and a real bright spark in a really tough time for us," said Southend boss Chris Powell. "We have a player who could have a really good future with us." Southend's Charlie Kelman scored a sensational goal from the halfway line in their 3-2 defeat against Plymouth. Norwich have been blessed with not just one young talented full-back this season in Aarons, but with another in Lewis - who handily plays on the opposite side. Lewis is an incredible athlete - an impressive middle-distance runner in his younger days - and has become a key part of Farke's side this season as they push for promotion. "I have been so impressed with them, and they have been a huge part of Norwich's success so far this season," Sky Sports pundit Andy Hinchcliffe said of both Lewis and Aarons. "Young players normally thrive in a team with experience around them, but these two are leading the way." Lampard has built his Derby side this season around several loanees, with Mount arriving from Chelsea to become a vital cog in his midfield. Mount impressed at Vitesse last season, and has so far netted six times for the Rams in all competitions. It is Mount's first season in English football, and his incredible early-season form saw him called up to the England squad in October. His performance levels may have dipped slightly since as he adapts to the long Championship season, but he has still made 31 appearances so far. "He's obviously got over 100 caps, so [Lampard] said to see if I can break that," Mount revealed last year. "It was the first thing he said to me. He's given me loads of advice so far and I'm just trying to take it all in. It's a long season so I'm going to learn so much off him." Sterling made his first appearance for Chelsea in 2017 as a late substitute in an EFL Cup tie, but it took until his loan move to Coventry this season for him to find regular football for the first time. The teenager initially struggled to adapt, but Coventry boss Robins kept faith in him and he has since established himself in the side. He has four assists in 21 League One appearances this season. "It took me a while to get used to football at this level because I have never been used to this type of football before," he admitted earlier this month. "Obviously at Chelsea, we work on dominating the ball, so it is a bit different, but as you can see on the pitch I am doing really well now." Middlesbrough boss Tony Pulis is renowned for favouring experience over youth, but Tavernier's ability has made him impossible to overlook - although he has still been used relatively sparingly at the Riverside Stadium. Initially handed his debut by Garry Monk, the 19-year-old has four goals and three assists in 16 appearances in all competitions this season, often providing a much-needed injection of energy into Boro's side. "We have got to be careful with him, not only on the pitch but off the pitch as well, careful about building him up," said Pulis. "He's a wonderful talent. He's got to learn the game, but the players like him and I've got great faith in him, that's why I am playing him." The third Coventry player to be making a big impression on this list is youngster Thomas, who is on loan at the Ricoh Arena from Derby. He has scored three times and has three assists as the Sky Blues re-establish themselves in League One. His form this season meant that Lampard had considered recalling him this month and bringing him back to Pride Park, but Thomas will remain where he is for the rest of the season, much to the delight of Coventry boss Robins. "He's made a really big impact since he's been here, he's well liked and a good lad, and on the pitch he has been brilliant," said Robins. "Out of possession, he's incredible, and any young player who's aspiring to get into the team should look at him. I think he's good for us and this is good for him, and hopefully he can strive to be even better in the second half of the season." Despite the fact he doesn't turn 19 until February, Yearwood has already made more than 50 appearances in all competitions for Southend, establishing himself as a first-team regular at Roots Hall. Yearwood has been at the club since 2011, making his first-team debut in the Carabao Cup in 2017. He is still awaiting his first senior goal but is an important creative presence for the side, with seven assists to his name so far. "To have more first team games than youth team games at 18 is some going," said Southend boss Chris Powell. "If Dru keeps going at this rate, he could end up playing about 1,000 games, but he should be proud of getting to 50 games."